Today we’d like to introduce you to Susan Kanoff. Thanks for sharing your story with us Susan. So, let’s start at the beginning and we can move on from there. My story is a bit unique as I wear many hats. I was a social worker for over 20 years, running a federal program designed to move low-income families out of poverty. As a fun “side-gig” I started a wardrobe styling business that evolved out of my love for clothes. 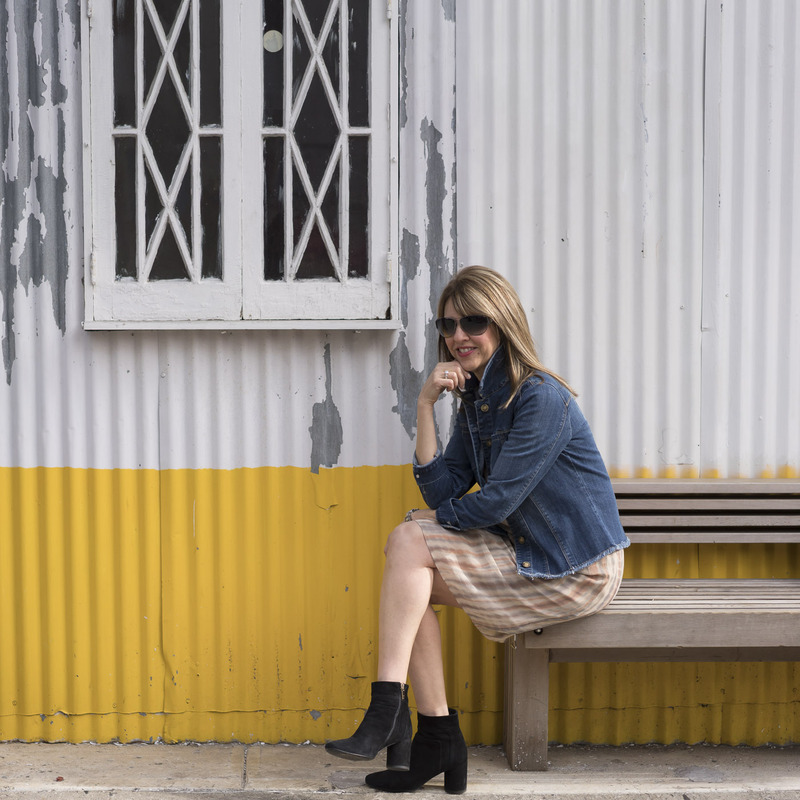 The styling soon turned into blogging and The Midlife Fashionista was born. In the fall of 2016, I took these two very different jobs and mushed them together to create Uncommon Threads, a non-profit program that empowers low-income women through clothes and image. The concept for Uncommon Threads developed while I was a social worker and a wardrobe stylist. Many of my clients wanted a good home for their donated attire, so I started bringing them to my office. When my clients came in for a counseling session, I’d also help them put outfits together that made them feel beautiful and strong. Whether it was just a “pick me up” or an outfit for a job interview, I noticed how the new clothes boosted their self-confidence and self-esteem. Eventually, my social work office was overflowing with clothes and it became clear that I needed to start a clothing program! So in the fall of 2016, I followed my passion and launched Uncommon Threads. Uncommon Threads took off faster than I could have imagined. 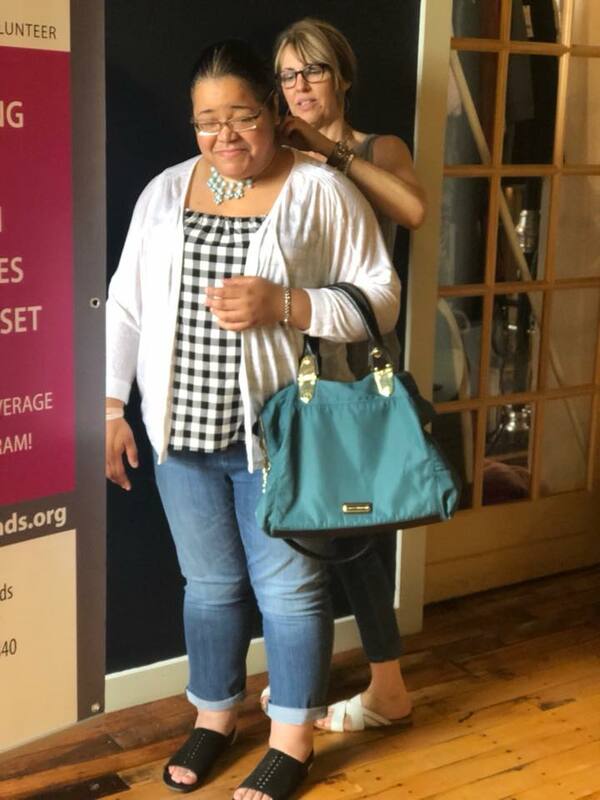 I found a great space to rent, a wonderful program to partner with (Family Services of the Merrimack Valley) and through my connections in the social service arena, word spread like wildfire and clients started coming in the door. The program also attracted a sea of amazing volunteers in the community who share my passion to help other women. During the first year operation, we were featured in The Boston Globe, WCVB news (the segment went national), Woman’s World Magazine and Northshore Magazine. In less than two years, we have styled over 500 women! Smooth? Not in the least. Life has been a roller coaster ride actually. Shortly after I started Uncommon Threads, my husband and I decided to put our house on the market and build in a new development— and that’s when all hell broke loose. In the middle of packing, I broke my wrist. Then things really unraveled. We moved out of our house in June 2017 believing that we would be in our new home by October, however, there was a floor joist recall (formaldehyde) which caused a nine-month delay and 2 transitional moves that had us apartment hopping. During this time, all of our belongings were in storage (over 140 boxes)–we didn’t even have winter clothes! But the worst was yet to come. In January 2018, I got diagnosed with CLL a form of Leukemia. Although I do not need treatment right now, getting the diagnosis was quite a shock and came at a time when my life was in total chaos and in limbo. I was living in a small apartment with my husband Richard, managing construction issues, a new non-profit, and a major health crisis all at the same time. We finally moved in June and life has settled down a bit. But one thing I’ve learned along the way is to appreciate each day. You never know when challenges will get thrown your way. Please tell us about Uncommon Threads (non-profit) and/or The Midlife Fashionista (blog). 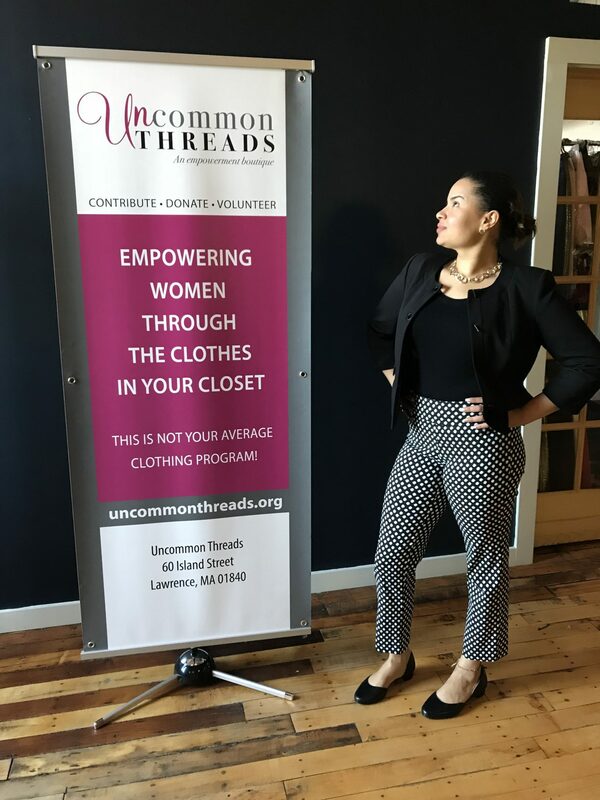 There are many clothing programs out there, however, Uncommon Threads is focused more on self-esteem than on putting women back to work. Although we can dress a woman for an interview or the workplace, at Uncommon Threads we can also style women who are not working—like female veterans, disabled women, the elderly, domestic violence survivors and those living in shelters. 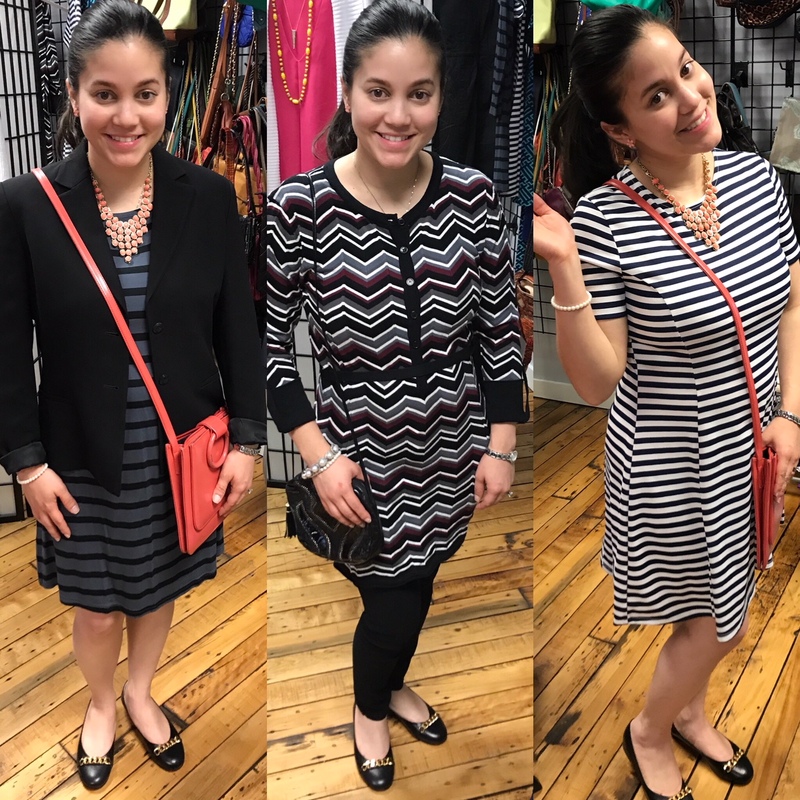 We work with women of all sizes and all ages and dress them for their lifestyle needs–from every-day clothes to career (and even special occasion attire!). Uncommon Threads is not your average clothing program. It looks like a high-end boutique and our inventory is stylish and in perfect condition (new or like-new). We take time with our clients to get to know them We talk to them about what works for their body shape—their best colors—and then we style them. Many of our clients have never been “waited on” before They’ve never been pampered or had the luxury of “shopping” at a boutique. Our goal is to make women feel important, worthy and beautiful. 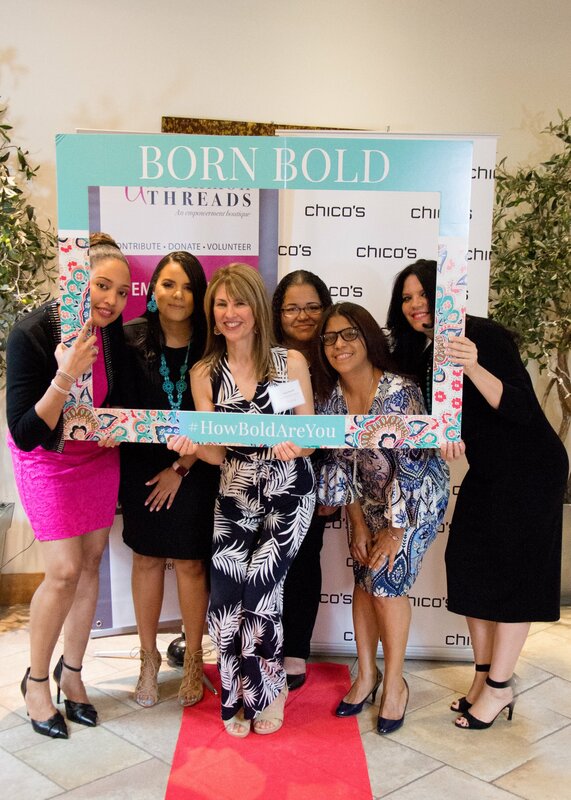 Uncommon Threads provides a safe and nurturing place for women to connect with others, recharge their batteries (self-care is so important! ), and receive support and encouragement from other women. We are all about lifting women up. It’s an outside in approach—a little out of the box, but it works. We’ve had therapists tell us that our sessions are better than therapy. It’s a shopping therapy. It’s women helping women. It’s pure magic. All of our clients are referred by professionals such as therapists, doctors and case managers. They are all ages—we’ve worked with teen moms to women in their 70’s. The majority of our clients are from the Merrimack Valley area, but we’ve had therapists from Boston bring their clients to us. If there is a need, we will help. We encourage our clients to shop often—we want them to come back. We ask for a $10.00 donation, but if they can’t afford it the referring social worker can have it waived. We will never turn anyone away—and it’s not the $10 that will fund the program. It’s the empowerment of paying. It feels good to say “I shopped at a boutique and bought this top, versus I got it at a handout program”. The program has grown tremendously since its inception. We now offer self-esteem focused groups and workshops through our new Women’s Empowerment Center, and we’ll soon be launching a mentoring program called Uncommon Friends. 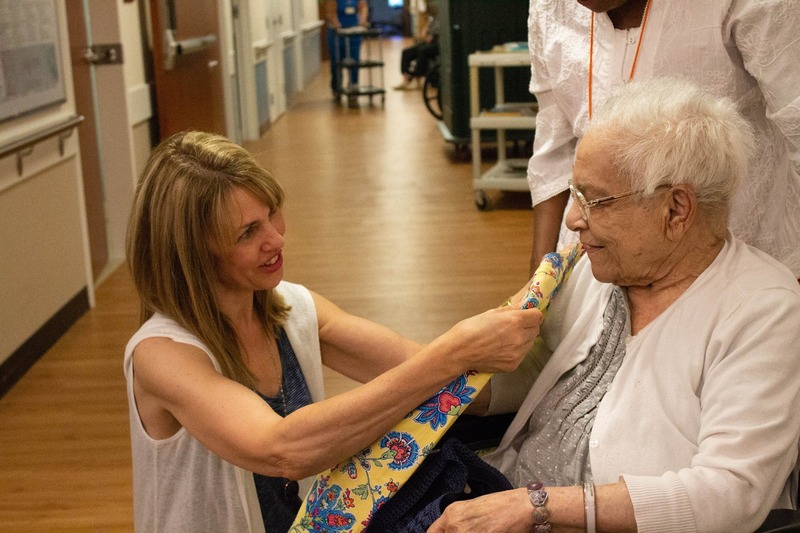 We recently started Senior Style, a styling program to empower elderly women (or “experienced women” as we like to say!) who reside in nursing facilities. We’re also raising money for the program through Uncommon Closet, a small boutique where the public can shop –all funds benefit Uncommon Threads and support our mission to strengthen women. Our inventory comes from local community donations as well as from local boutiques and national clothing companies. My blog (The Midlife Fashionista (www.themidlifefashionista.com) has been an important part of generating donations from major retailers such as Chico’s, Soft Surroundings, Patricia Green Shoes, Aventura Clothing, and Ecru. 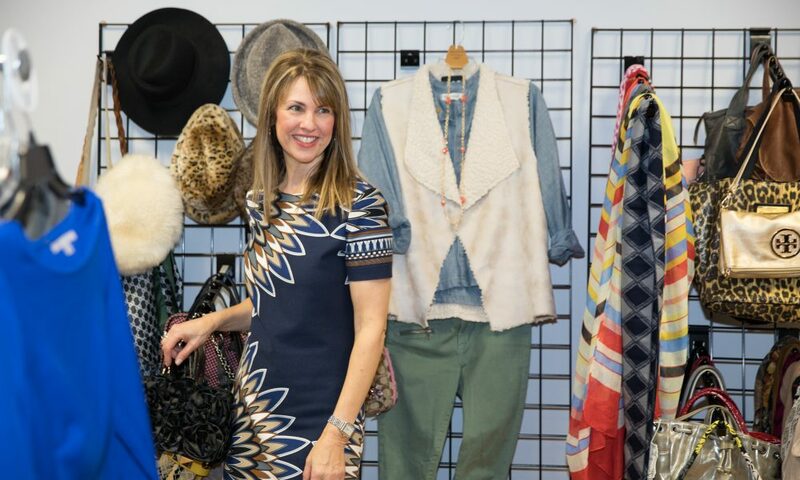 On a local level, we also receive donations from Chic Consignment, Revolve Consignment Boutiques, French Lessons Boutique, Rose and Dove, Sole Amour and Coco Collection. We are truly lucky to have the support of such kind and generous businesses. My future goals for the program are to expand services and evolve into a “women’s center”, offering stress management, beauty and mentoring programs. Down the road, I would love to see the program replicated in other areas. I think I’ve always been a bit of a fashionista. My favorite memory was playing “dress-up” at my best friend Diane’s house. Her mother was my heroine…. she had a closet full of beautiful clothes, high-heels and drawers of make-up and jewelry which she generously (and bravely!) let us have free reign to. I remember spending hours parading around with a face full of Estee Lauder make-up and tripping in stilettos —I was in my element early on!